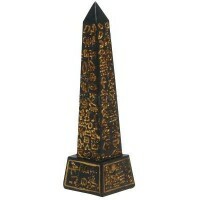 Obelisks are tall, slender four sided shafts carved from a single stone and topped with a point known as a pyramidion. 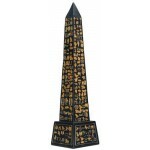 Obelisks were known to the ancient Egyptians as Tekhenu. They were typically inscribed with the names and titles of the king who commissioned them. 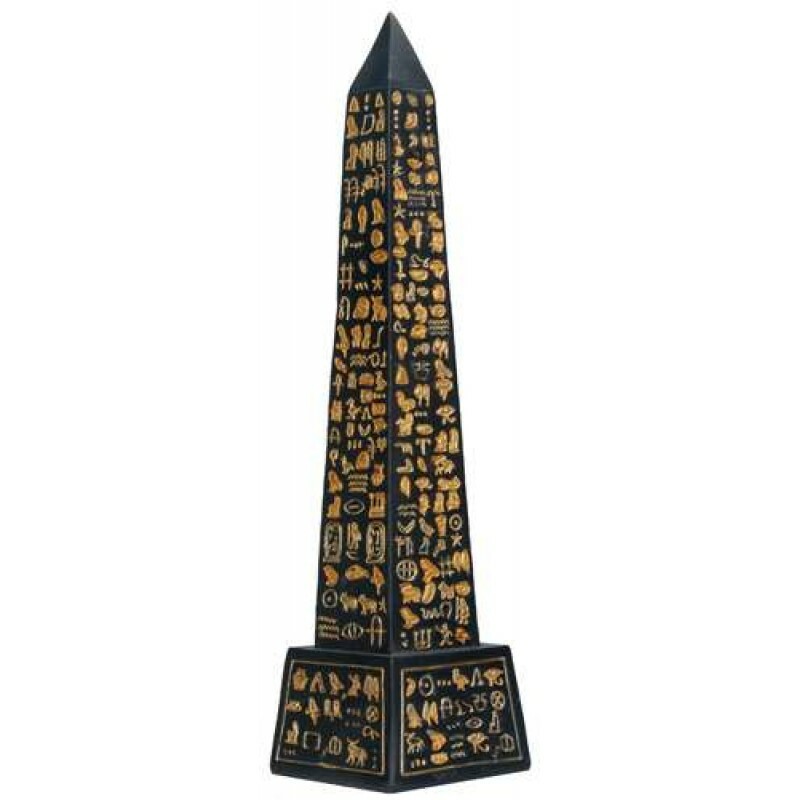 Obelisks were considered to be sacred to the Sun God Ra, whose main center of worship was at Heliopolis where the oldest surviving monumental obelisk in Egypt still stands. 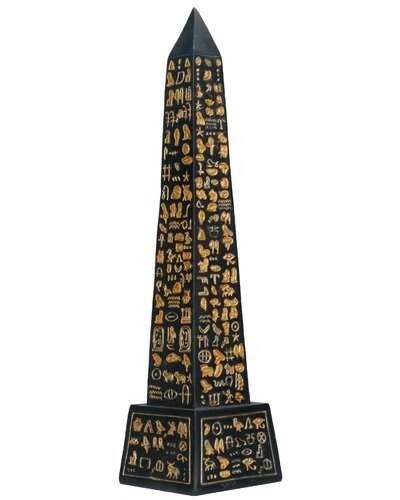 Obelisks were first erected at Heliopolis and the practice was continued throughout the pharaonic period. 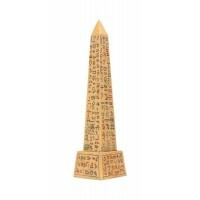 Obelisks probably evolved from the so-called Benben Stone which resembles the pyramidion of an obelisk and was considered sacred to the Sun God even before the appearance of the first pharaoh. These stones were the fetish of the primeval God Atum (the setting sun) and the God Ra or Ra-Harakhti (the rising sun). The stones were also associated with the Benu-Bird or Phoenix. Some small squat obelisks survive from the early years of dynastic Egypt when they usually stood in pairs before the entrances to the tombs. Cold cast resin statue is 8 inches high. Item Number: YT-5307 | Approximate Size (Inches): 2.00 wide x 2.00 deep x 8.00 high | Approximate Shipping Weight: 1.50 lbs.